Since then his career seem to have taken off again with so much vigor. The Port Harcourt first son in an interview with online media platform TheNet NG shared talked about getting to feature Wizkid and also working with Tiwa Savage. 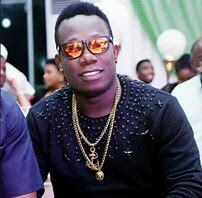 In a candid reply Duncan Mighty stated that everything changed after he released ‘Fake Love’ with Wizkid. He said this when asked what he thought about ongoing debates Wizkid brought him back on the scene. Wene Mighty readily agreed saying they are correct about that assertion. In addition, he noted that it was easy getting Wizkid to work with him as he is more than just a colleague but a brother.